1. 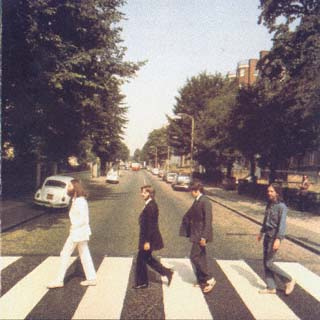 Ringo's time is super solid even during a solo and drum fills, which is where most drummers have trouble. 2. The kick drum is very punchy, especially for the time. 3. The panning is rather odd. Although the drums are in very wide stereo, the snare and hat are leaning to the right side, while the toms go from the center to the left. Stereo was still in its infancy in those days, so this was as good a choice as anything else at the time. Besides, it fits the track well and no-one has ever complained about the drum panning in the almost 50 years since. Dust off those surround sound chops because it's coming back in a big way. I'm frequently asked by students and people new to the business where they should put their efforts. While music is the most glamorous choice, it's also the one with the greatest heartache, since you can have a great career if you have a hit, but might be struggling for a long time otherwise. Until now I would tell everyone that if they wanted to make money and have a more or less secure job, post-production was the way to go, since the pockets were generally a lot deeper and there was a lot more work once you were established. That's no long true, as the home studio craze has now hit post in a big way, and normal "jobs" are harder to find as many editors and mixers now work at home as an independent contractor with a far smaller budget than ever before. But I've seen the writing on the wall, and it's called Virtual Reality. As of this Christmas you're going to see the prices come down on devices like the Oculus Rift, HTC Vive, Sony Playstation VR, Samsung's Gear VR and Microsoft HoloLens as they become the hot gift of the year and the beginning of next as new versions are introduced. In 2016 the floodgates for headphone surround will open, because as virtual reality takes hold, the need for surround sound audio will be quite apparent to further enhance the experience. Everything from games to movies to music will be needed to be mixed in headphone surround, and the best thing is that you won't need a big expensive surround monitor setup to do it - only a really good set of headphones. 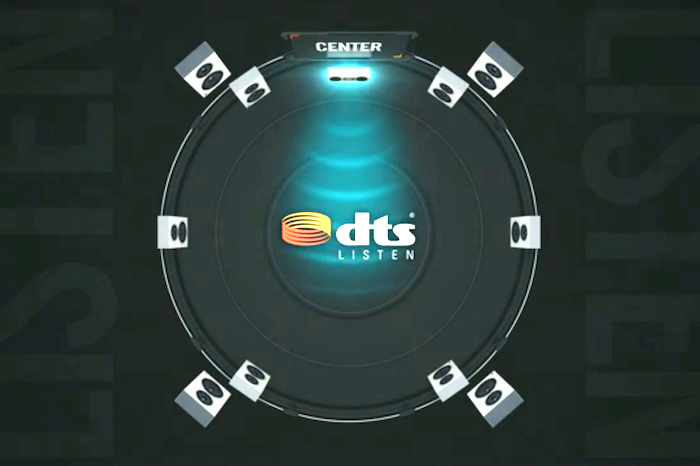 Headphone surround isn't limited to 5.1 either, as 7.1 is the norm, with DTS's Headphone X adding height channels at an enhanced 11.1. So it's time meet the newest and fastest rising sector of the audio business. You can get started by brushing up on the VR systems available, as well as the various surround headphone technologies by Dolby, DTS and Sennheiser, among others. Listen to some music examples at Bob Margouleff's Headphone Surround site, and prepare for a new journey into audio. Here's an excerpt from my Recording Engineer's Handbook that explains why those old vintage tube mics are frequently seen hanging upside down. 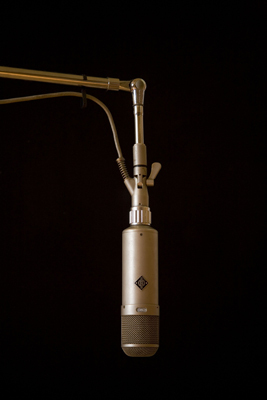 Much of the reason for hanging a mic upside down is because many of the early studio microphones used tube electronics. The heat rising from the tube can cause the diaphragm to change temperature over time, which will change the sound of the mic. Placing the tube above the capsule will let the heat rise without passing over the diaphragm. An excellent byproduct of singing slightly upward into a mic because it’s positioned upside down is that it forces the singer’s airway open and encourages a full body voice. Take a deep breath and sing a low note. Start with your chin to your chest and slowly lift your head until your chin is about 15 degrees above level. Hear any difference? It’s easier for the singer to read any music or lyrics since the mic is out of the way. Now you can see that hanging the microphone was more than a random design. It was indeed a well thought out placement technique used by our engineering forefathers." 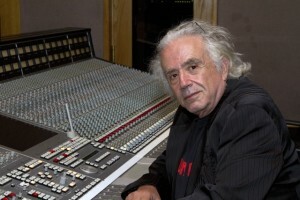 You can read more from The Recording Engineer's Handbook and my other books on the excerpt section of bobbyowsinski.com. If you use Pro Tools as your DAW of choice, then you should be reading Pro Tools Expert, an excellent site for PT tips, tricks and instruction (there's also Logic Pro Expert, Ableton Live Expert, Reason Expert and Studio One Expert as well). It's one site that I check almost every day. 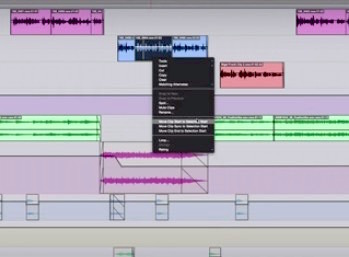 Here's a great video from the site on some clip snapping shortcuts for Pro Tools that even those experienced in the program will enjoy. I learned a few things myself. I'm happy to have producer Robert Margouleff on my latest Inner Circle Podcast. Bob has been super influential in that he was largely responsible for the synthesizer coming to the forefront of popular music, which led to co-producing four of Stevie Wonder's most beloved albums (including my personal favorites Inner Visions and Talking Book). Bob was also an early proponent of surround sound music, a torch he carries to this day with Headphone Surround. In the intro we'll take a look at why Pandora buying the online ticketing agency Ticketfly may be a big deal for artists, and some quick and easy soundproofing tips for home studios. Most of the time we use signal processors like EQ, compressors, gates and de-essers in a serial fashion, meaning that the signal goes through the first one placed in the signal path, which processes the signal and sends it to the second processor, and so on. Waves has changed that with their new eMo D5 dynamics processor, which uses their new Parallel Detection technology to trigger all of the processors simultaneously. 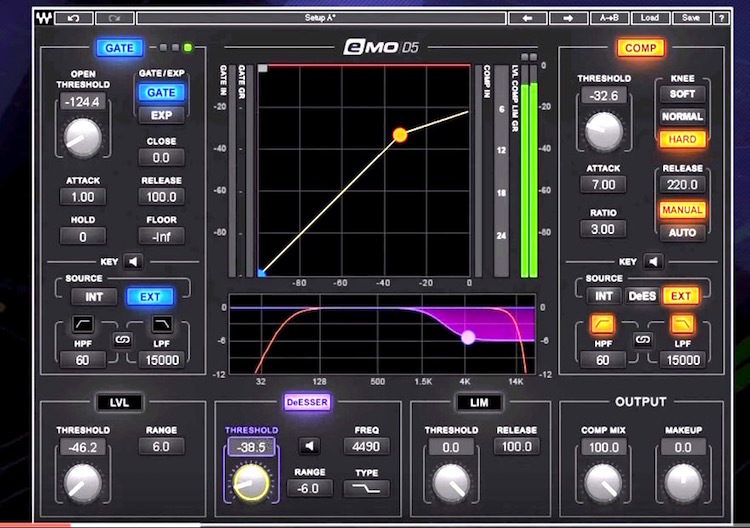 The eMo D5 contains 5 processors in one plugin - a gate, leveler, de-esser, compressor and limiter. By triggering them all at the same time instead of sequentially, the user is provided with a lot more control without over-processing or over-compressing. All processors are available via a single interface screen, as you can see via the graphic on the left. The plugin has zero latency, so it's perfect for use in a live situation as well as the studio. Plus, it has low CPU consumption so that you can use a bunch of them on a mix without running out of horsepower. The Waves eMo D5 Dynamics plugin retails for $299, but is currently on sale with a introductory price of $149. Find out more information on the Waves website or check out the video below.